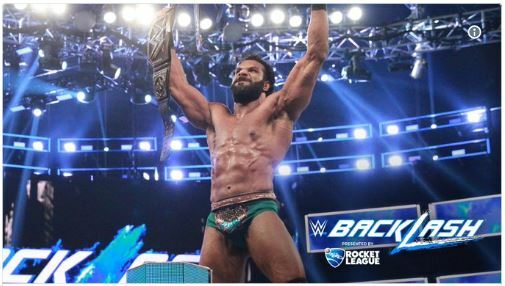 Jinder Mahal, the 30-year-old 6’5?, 220-pound Indo-Canadian has used his momentum since being drafted to SmackDown Live to reach the very top of the line in just a matter of weeks by defeating Randy Orton for the WWE Championship at the Backlash pay-per-view. May-July is the off-season for the WWE, as they are starting anew from WrestleMania heading into SummerSlam. So, with that, this time presents a perfect opportunity for a fresh face to win on a trial-and-error basis. For many, the initial thought was that SmackDown Live was capitalizing on the “land of opportunity” model set by Commissioner Shane McMahon and General Manager Daniel Bryan. All of a sudden, a swarm of reports came in regarding WWE wanting to heavily focus on their market in India, and Mahal would be the man for the job. Not only does he have the look of a star, but WWE found it easy to plug him right into the age-old Anti-American gimmick. Usually, it is United States versus Canada, which was popularized by names such as Dino Bravo and Bret Hart. Now, somehow WWE has gotten the US to hate India as well, as the “modern-day Maharaja” has been staking his claim of superiority of India as a country. I have no issue with Jinder Mahal winning the WWE Championship; but timing is everything. His character, when matured, can draw a ton of heat. No matter how much fans want to reinvent the wheel, pro wrestling is about how strong your character is more than anything else. For example, Apollo Crews is one of the best athletes on the entire roster, but it would be a disservice to the world championship if he would win it right now, because his character is as bland as it gets. The issue, and the biggest thing I despise about knee-jerk planning, is the fact that while a WWE talent could indeed become a main-event name for the company, a lack of time to build enough heat for the character makes big wins less meaningful. Especially, when it comes to winning the most important title of the company. Mahal as a talent is a great choice to be champion. Physically, he’s tall, jacked, and solid in the ring. However, rushing him to be champion after a lousy win-loss record is a disservice to both his character long-term, as well as the prestige of the championship. Not enough steam was built around his character to make his win stand out more than it just being a way to have the title make the wrestler, instead of the wrestler make the title.